· Castle Island (2010 William J Day Blvd., Boston): One of Boston’s favorite relaxation points happens to be just around the corner. Castle Island is a perfect spot for morning jogs or leisurely picnics – all with a perfect view of Boston Harbor and the planes landing and taking off from Logan Airport. Save room for a snack at nearby Sullivan’s, a popular neighborhood lunch shack that offers fried seafood and soft-serve ice cream. · Provincetown: Take to the seas on the Provincetown Fast Ferry (which sails from across the street at our own World Trade Center terminal) and be on the Outer Cape in 90 minutes! Provincetown is an eclectic enclave at the end of Cape Cod and is a favorite summer retreat. Restaurants, bars, art galleries, and boutique shopping await as well as two of America’s top-rated beaches. For ticket information, please dial the concierge. · Acorn Street (Acorn and Willow Street offers the best photo vantage point! 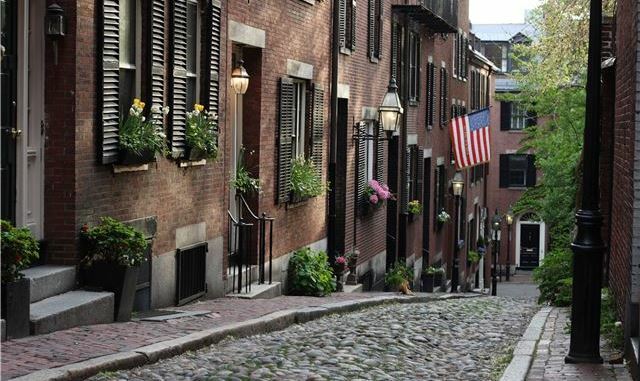 ): Known as the most photographed street in America, the cobblestoned Acorn Street was home to many coachmen who worked for families living in nearby Beacon Hill mansions. Today, it’s a haven for tourists and locals looking for a great addition to their Instagram. Hop on the MBTA to the Charles/MGH stop on the Red Line. Acorn Street is located one block back from bustling Charles Street in Beacon Hill. For further directions (or great tips for Beacon Hill dining), please see or dial the concierge. · Trillum Brewery (Atlantic Ave. and High St.): Bask in the fruits of all the Big Dig labor while sipping a cold brew? Sign us up! Trillium Brewery (from just down the street in Fort Point) has opened a beer garden on the Rose Kennedy Greenway, and it has quickly emerged as the city’s favorite summer hotspot. Located across the street from Rowes Wharf, Trillium Beer Garden features 6-8 rotating beers from the craft brewer as well as three wines from Westport Rivers Vineyard. Trillium opens Wed. to Fri. at 4 pm and on weekends at 11 am. · TAMO Terrace: Stay close to home (or your hotel room) and wander downstairs to TAMO’s popular outdoor patio – now open for fun in the sun! Sip a sangria, nosh of one of our many delicious dishes, and see the Seaport go by.